Like giant seashells Depending where you?re standing, the new UCCA Dune Art Museum in Qinhuangdao, China, is almost completely hidden from view. Built into the side of a sand dune on a quiet beach, the contemporary art museum is quite literally part of the landscape. 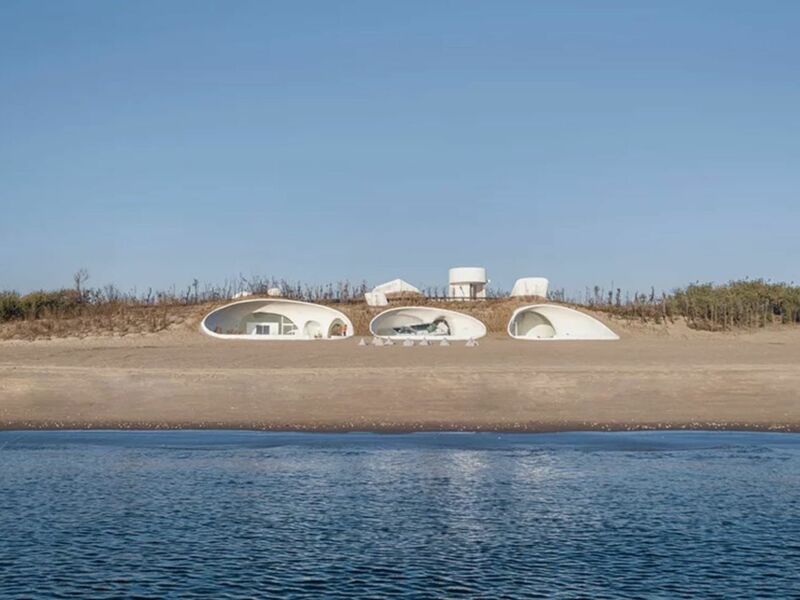 Chinese architecture firm Open designed the unorthodox museum on the cusp of the sea, where its white facade is wedged into the sand like a series of giant seashells. Entering the museum is like waking into the dune itself. Most of the building?s 10,000 square feet sits underneath a sandy roof, creating a cave-like network of ten interconnected galleries. All of the galleries have portal holes that filter sunlight from above into the underground space. The galleries? organic concrete shells were built by hand, giving each a perfectly imperfect shape. Its formwork, made from small strips of wood, is still visible through the white plaster?a deliberate choice intended to convey the building?s handmade nature. Open is now working on an addition to the museum called the Sea Art Museum that would jut out of the sea like a rock. When the tide is low, visitors will be able to walk between the two buildings on a pathway that stretches into the ocean.